Back in October, the Chevrolet Onix reached the major milestone of 1 million units produced in Brazil. Now, after six years on sale across Latin America, an all-new model is on its way. The second-generation Onix will be an all-new model that will cease being specific to the South American market. Instead, it will become available in various markets outside of Latin America. And, in a rare twist, the new Chevrolet Onix will make its global debut outside of its native country of Brazil. Now, an all-new Onix just appeared in China thanks to a surprise announcement by Chinese authorities profiles a SAIC-GM product, detailing several specifications as well as providing photographs of the vehicle in the sedan body style. The second-generation Chevrolet Onix has undergone significant changes when compared to the current model, which was developed by GM Brazil. First, we must note the change in the naming structure of the sedan variant for the Chinese market. In Brazil, the Onix Sedan is marketed as the Chevrolet Prisma, but the model in China will simply be called Onix. 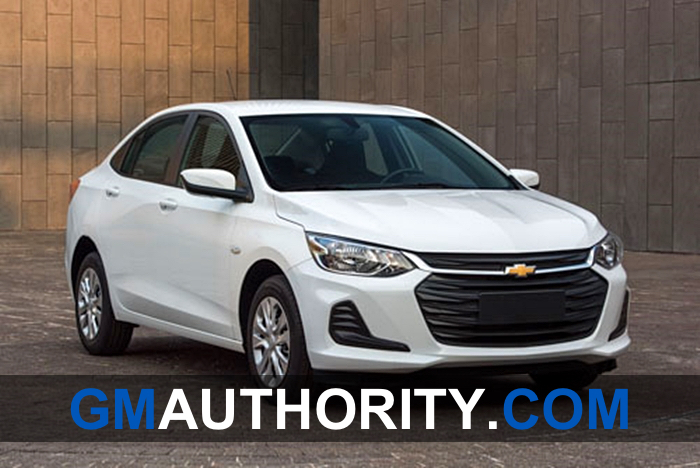 Second, the second-gen model has undergone a complete overhaul, adopting elements of the most recent Chevrolet design language that includes the split front grille with a narrow upper lip and a larger lower portion, along with various horizontal elements. The body now features more sculpted lines and more prominent shapes. At the rear, the lights are now integrated in the trunk lid. In China, the new Chevrolet Onix will be offered with two new 3-cylinder engines. The base motor is a 1.3L LI5 naturally-aspirated unit that delivers 102 horsepower (76 kW), while the second engine for the higher-end models is the turbo-charged 1.0L LIV rated at 114 horses (85 kW). No information on torque or transmission is currently available. In terms of dimensions, the new Chevrolet Onix has grown larger. Length is up significantly when compared to the Chevy Prisma. The new model measures in at 176.1 inches long (up 7.5 inches), thanks to a 102.4-inch wheelbase (which is up 3.9 inches). The gains make the new Onix larger than the Chevrolet Sonic, placing it at the upper limit of the B segment from a size standpoint. Testing of this new, second generation Onix began some months ago in Brazil, both in hatchback and sedan body styles (as the Prisma). We expect the vehicle to be introduced during the second half of 2019, after seven years of dominant market performance. Since 2016, the Onix has been the best-selling new car in Latin America. In the Brazilian market, the Onix has led as the best-selling model since August 2015, with the Onix and Prisma representing 75 percent of GM vehicle sales in the country. The Onix is ​​currently produced at two GM Brazil plants: GM Gravataí and GM São Caetano do Sul. 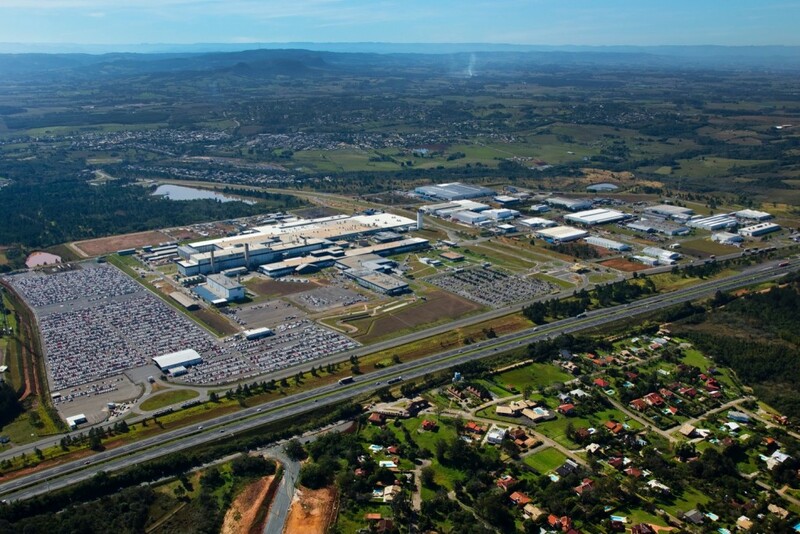 It is expected that only the former will assemble the next-generation model, while production of the current, first-gen model will continue at the São Caetano do Sul facility. The current model will likely continue being offered alongside the all-new version as a more affordable, “Classic” alternative. 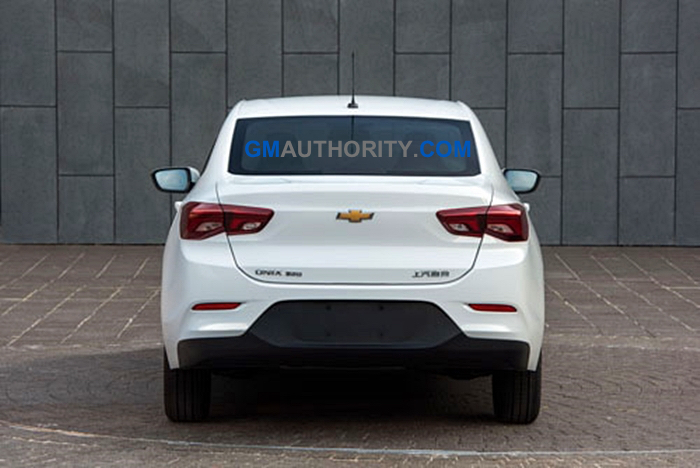 This new Chevrolet Onix will be based on GM’s new Global Emerging Markets (GEM) architecture. GEM is a simplified, more cost-efficient variant of the new GM VSS-F platform (Vehicle Set Strategy – Front Drive) that will underpin front-wheel drive passengers cars for developed markets. Meanwhile, GEM was designed in conjunction with SAIC specifically for developing/low cost markets. In addition to the Onix, the new GEM platform architecture will spawn a large family of entry-level models with different body styles for both Chevrolet and Buick brands. Vehicles based on the GEM architecture will be manufactured in China, Brazil, India and Mexico. The vehicles are expected to be marketed mainly in emerging markets in Asia as well as Latin America. It’s believed that GEM was initially launched on the new Buick Excelle earlier this year, making the new Chevrolet Onix the second model to utilize the architecture. We should note that in 2016, GM Authority discovered that General Motors filed to register the terms “Chevrolet Onix” and “Onix” as trademarks with the United States Patent and Trademark Office (USPTO). This could suggest that the automaker is considering introducing the Onix in the American market, potentially as a replacement for the Sonic after it finishes its production cycle. Given the Sonic’s abysmal sales this year, its end may come sooner rather than later. 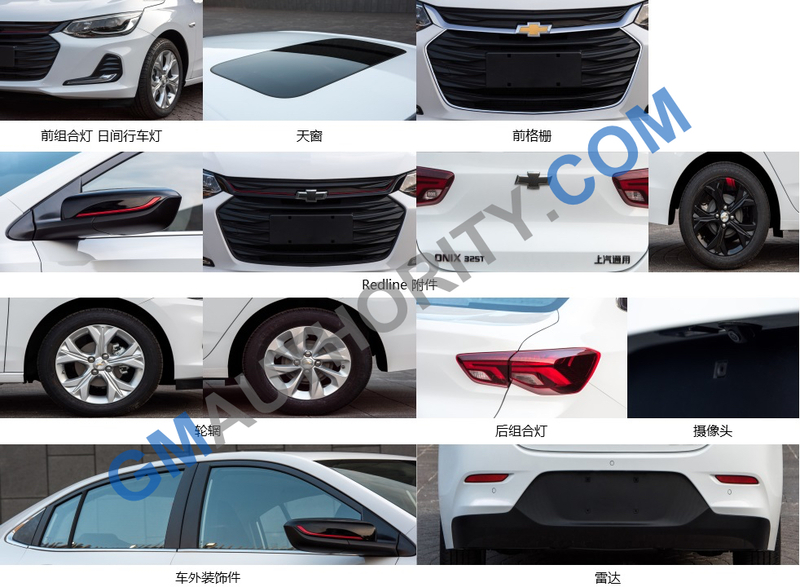 Considering that SAIC-GM has already informed Chinese authorities of the new Chevrolet Onix, it is highly likely that we will see the official reveal and announcement in the near future. Stay tune to GM Authority for more. If this is introduced in the states (a big if), then it will be offered with a different engine(s) that will make more power. But don’t forget that the Sonic has been and currently continues to be offered with a 138 horsepower I4… not that much of a difference between 138 and 114, especially of the Onix is lighter (which it probably is). That said, I do agree with you in theory – the asonic should be improved upon, rather then discontinued or replaced outright. I think the fact that it only has 138 speaks plenty for itself and it’s current sales figures Alex. I would love to see a subcompact Chevrolet continue, I think there will always be a market for it. Its still a good way to add and grow business. 114hp ain’t gonna cut it, this ain’t the 90’s anymore. And its dimensions actually seem to be low-compact, rather than that of a genuine subcompact. I’d love to see the Sonic name continue, and hopefully the sub-Cruze sedans will be pared down to one or two-there is NO need for more than 2 (or even just one, really) Chevy subcompact/B-Segment cars. I am pro-American production, but I would probably send the next-gen Sonic, or In is or such, to Mexico. Put crossovers or the electric vehicles at Orion, Michigan, which of course, is where the current Sonic is built. Onix looks like a VW which is probably a good thing. Sonic is an eye sore, a sad, plus-sized Spark, therefore far from a good thing. A GEM-based sedan could give GM a low cost option for young drivers or even cost conscience shoppers. This is especially important for Ford and others dropping tge segment. The test will be quality. Young drivers will abandon Chevy forever if GEM lacks first world suspension and sound proofing. I’d guess it’s a lot like PSA platforms.